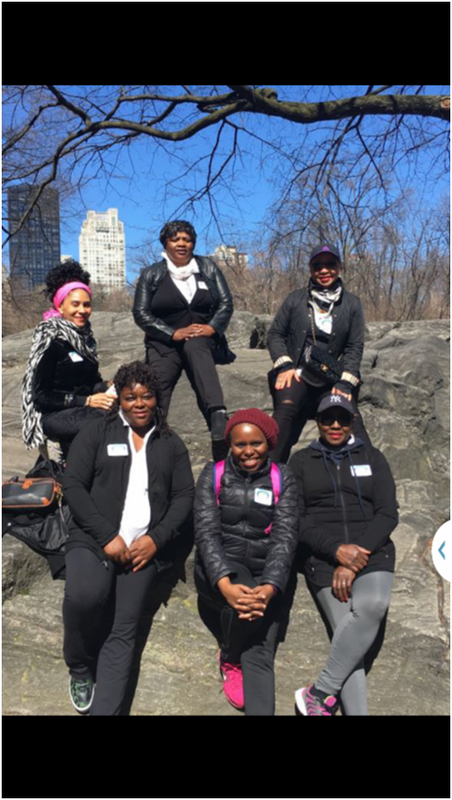 In 2013, Ex-Saker Students Association,USA designated the first Saturday of April “IMPACT DAY.” This is a day when all chapters of ExSSA USA are expected to go out in a collective synchrony across state and city lines to make an impact within their local communities in the USA. 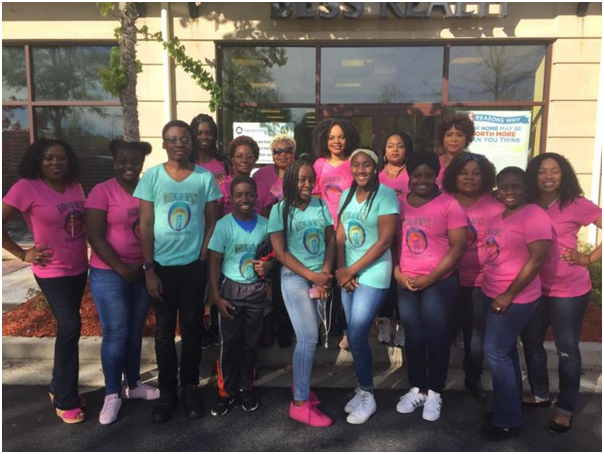 While the main focus of ExSSA USA is to cater for the girl child in our alma mater Saker Baptist college we decided we cannot neglect the local communities where we now live. Even When chapters can’t make it out on the first Saturday of April, they often reschedule on a more convenient Saturday. And so EXSSA LA joined the action on April 8th and 10th. Three members of EXSSA LA led by the President, Ms. Geraldine Essombe joined celebrities and politicians at this humbling event. 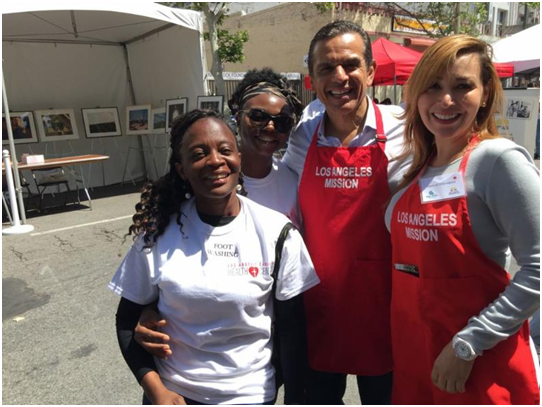 Organized by LA Missions in partnership with LACHC, the Washing of feet is reminiscent of Jesus washing of his disciple’s feet the night before his death. It is a way of giving dignity to the less privileged and a way of humbling those who are in a position to help. 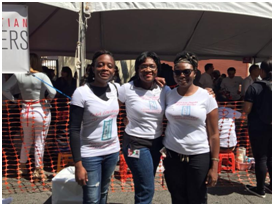 While Geraldine washed feet, Ms. Mavis Efuetngu Amin was part of the team that scouted and ushered the homeless into the foot washing event. 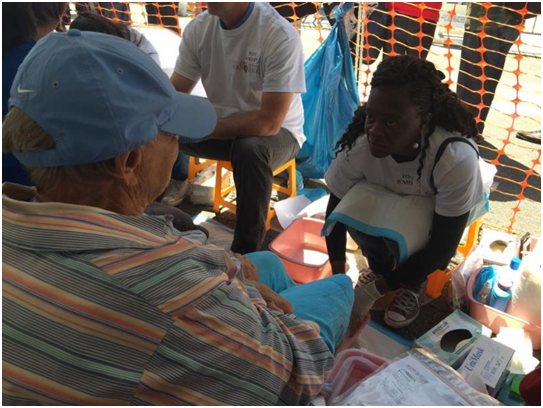 On the other hand, Judith Foyabo along with other healthcare providers was on hand to offer minor podiatric care to relieve painful calluses and treat infections. So how did EXSSA LA choose this event? 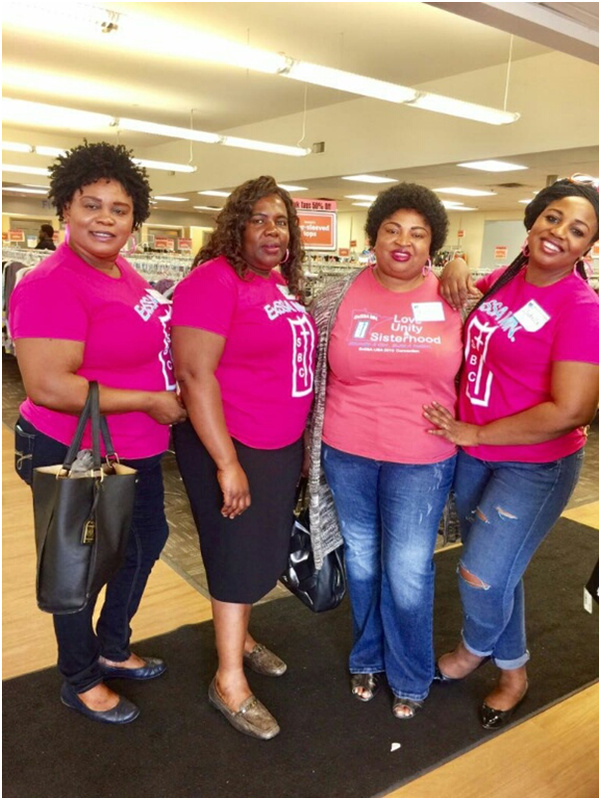 Well, ExSSA LA’s Vice President, Judith Foyabo works for the Los Angeles Christian Health Center and suggested the idea to the chapter. 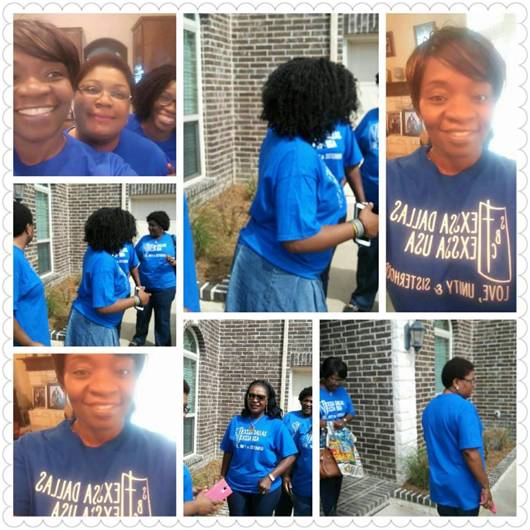 The suggestion was welcomed by all Chapter members given that the mission of EXSSA is framed around extending Christlike love captured in our motto “Love, Unity and Sisterhood”. The plan was for all EXSSA volunteers to be “Foot Washers”, however, due to the high number of volunteers, the Chapter’s President was the only one able to be stationed at the Foot Washer station. Making an impact sometimes doesn’t need money just our willing hearts! The Sakerette brand- The gift that keeps giving. 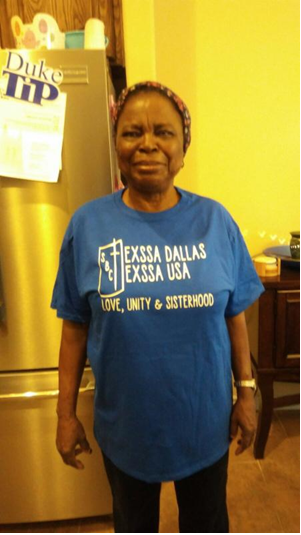 EXSSA LA is certainly making more than an impact in their local community. The chapter was ably represented in this distinguished community event by the Immediate Past President of EXSSA LA, Ms. Amabel Mundi Niba and the current Vice President, Ms. Judith Caspa Foyabo. 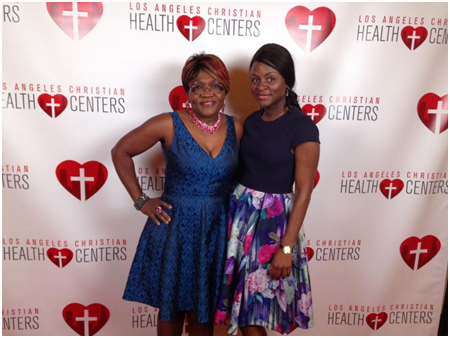 This was an evening to benefit the work of the Los Angeles Christian Health Centers (LACHC) to provide quality, comprehensive services to thousands of the most vulnerable neighbors in the local community— the poor, the homeless, the chronically ill.
As information from the centers reveal, a visit to LACHC clinics is a welcome break from the isolation of homelessness. For some of these homeless persons, LACHC is the only place where they are treated with the dignity every human being deserves. 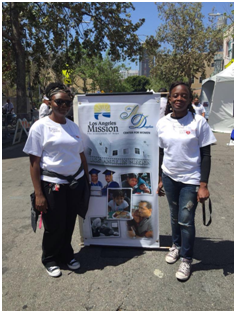 Above all, at LACHC, they find judgment-free care, inspiration and open hearts ready to serve them – a rarity in our communities across the USA where so many homeless persons experience barriers and closed doors that constantly shut them out. 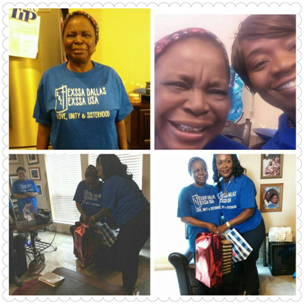 This year, EXSSA Dallas under the leadership of their president, Mrs. Martha AkwaTeke, did not need to look too far for where to make an impact. One of their members, Catherine Arrey O’Connor had her mother, a patient and a fellow Sakerette at home. 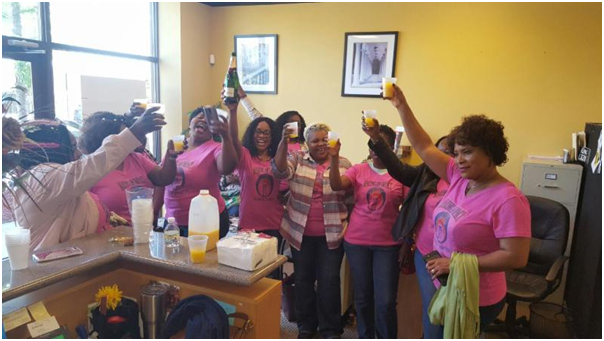 They knew it was only fitting to bring some cheer and comfort to a fellow Sakerette and Sakerette mother, Mrs. Arrey nee Helen Benson Ayuk. 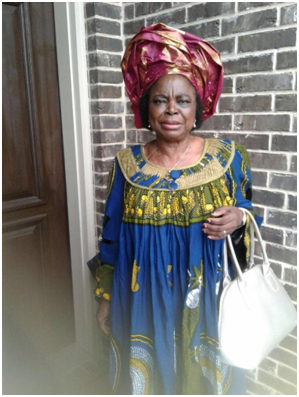 Mrs. Helen Arrey, Class of 1968 and student #45 in Saker Baptist College Limbe visited her daughter, in the USA last summer. She had a swirl time with her children and grandchildren, and was already planning her return trip when illness struck. She thought it would be a quick fix and she would be well on her way back to Cameroon. It turned out she had a major kidney problem and suffered kidney failure. She had to go on dialysis and that return trip to cameroon is yet to happen. The weight of this sudden debilitating illness has taken its toll- leaving this staunch ExSSA Kumba member wondering when she would make it back to Cameroon. By the time the EXSSA Dallas delegation left. It was clear that they had made an impact on the life of one of their own. She had sang, laughed and even shed tears of joy. Her spirit was uplifted. She was happy to know that the EXSSA motto of Love, unity and sisterhood is well and alive even among the younger ones! The next day after the visit, Mami Arrey woke up with a renewed faith which was palpable! She dressed up happily for church and asked her daughter, Catherine to take her a photograph. Catherine complied! She had no doubt in her mind that her mother’s festive energy was a direct consequence of the visit from ExSSA Dallas. To God be the glory! 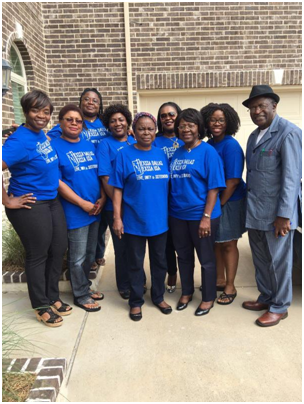 L-R: Kah Kajih Fomuso (secretary/music prefect), Catherine Arrey O’ Connor(daughter/member),Regina Jing Nana (founding member), Maureen Simo Ngamolue (treasurer), Mami Arrey (Patient), Martha AkwaTeke (president), Aunty Nancy Asanga (pioneer/member), Sheila Etonga (National Chaplain), Pastor Ndematang (former Saker chaplain. Click the link and sing along! 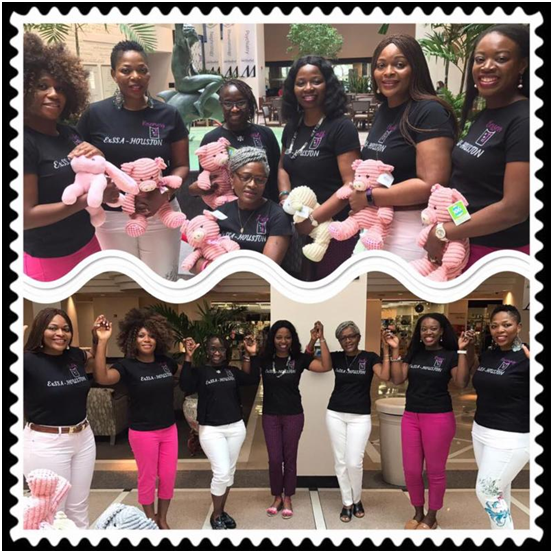 ExSSA Houston members opted to collaborate with HMH by participating in its 9th annual ‘Bunny Drive”. 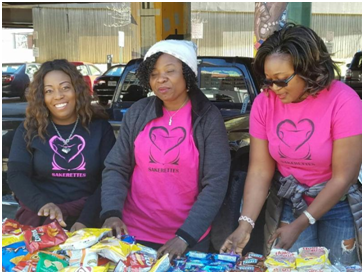 HMH is not only well known for being the Number 1 ranked hospital in the great state of Texas, but it is also known for its culture of empathy and giving back to the local community. The drive collects new plush bunnies and stuffed animals to donate to patients during their hospital stay. Once these items are collected, volunteers deliver them to patients to brighten their spirits and take away any feeling of missing out. It was a hectic Saturday, chock-full of the usual errands, activities and appointments that usually crowd the weekend. Whether it was car repair, kids’ soccer games, dentist appointments, work, an open house or just life in general, this particular Saturday couldn’t have been any crazier. Nevertheless, these multi-talented women defied the odds. 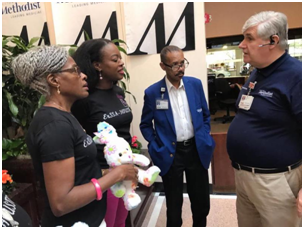 ExSSA Houston members gathered from all the corners of the great city of Houston at the Houston Methodist Hospital (HMH) in downtown Houston. 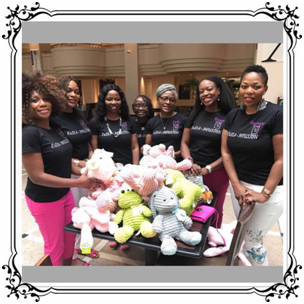 Here, they volunteered their time, talents and warm personalities to distribute these bunnies to patients from diverse backgrounds! 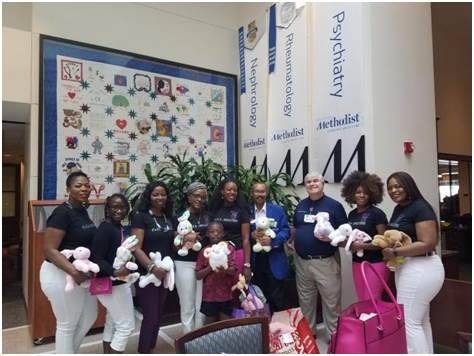 This unique opportunity made a great impact at several levels; it provided ExSSA Houston chapter members with an improved sense of self-worth, pride, and accomplishment, while improving the lives of patients. 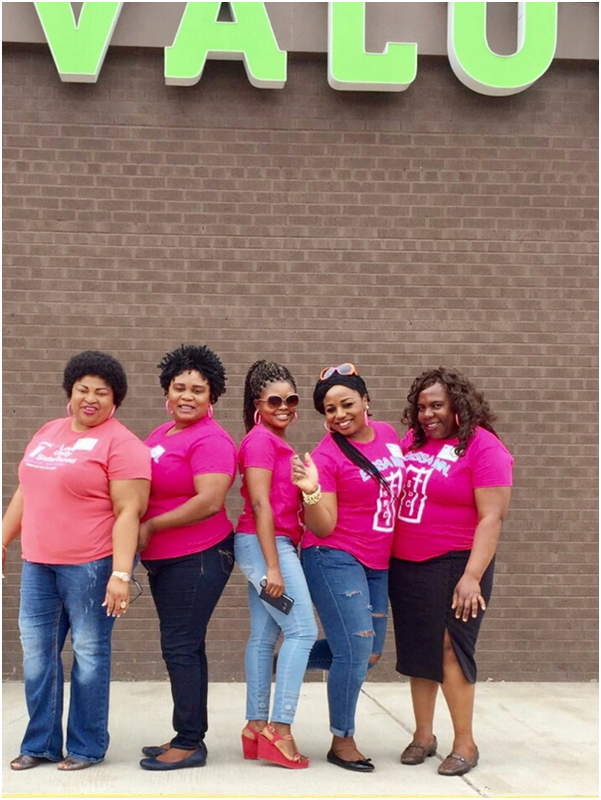 L-R, picture above: Caleche Bongo (National Vice Secretary), Prudence Muluh (Treasurer), Faith Sikod (member), AlidaWelashi (Financial Secretary), Jacky Atang (President), BessemOben (National Music Director), Rosemary Kiffa (member). 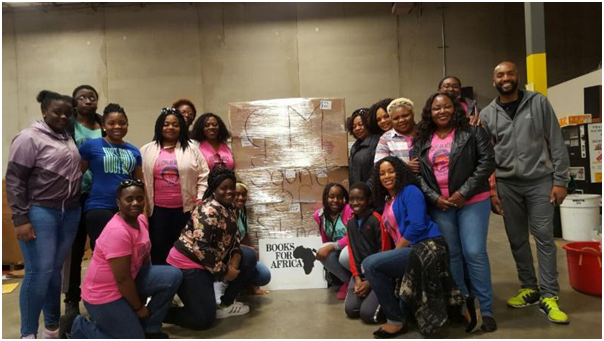 On April 8 2017, the Sakerettes of Georgia (ExSSA-GA) and their kids (CARATS), spent the morning hours sorting and packing books to be shipped to a school for the deaf in Buea, Cameroon, called “Sound of Silence” in partnership with two non-profit organizations whose mission is to foster education in Africa. JUMP Africa(jumpafrica.org) was founded by FotemahMba from Cameroon, and focuses on educating kids across Africa by sending books and building Learning centers. Beyond educating its people, JUMP Africa also addresses daily health concerns by pinpointing excess medical supplies and distributing them to local health centers in Africa. 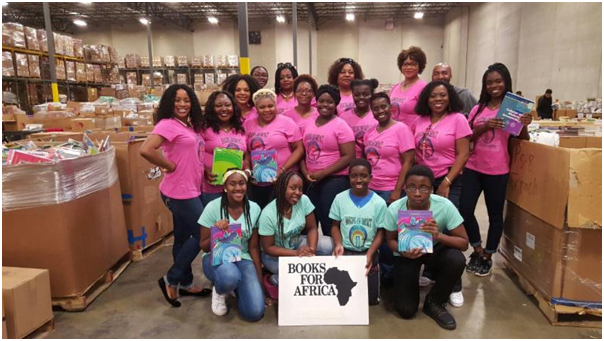 They partner with Books For Africa (BFA – booksforafrica.org) whose Atlanta warehouse processes, sorts and ships all the donated high-quality books that BFA sends to children and adultsin Africa from Georgia. 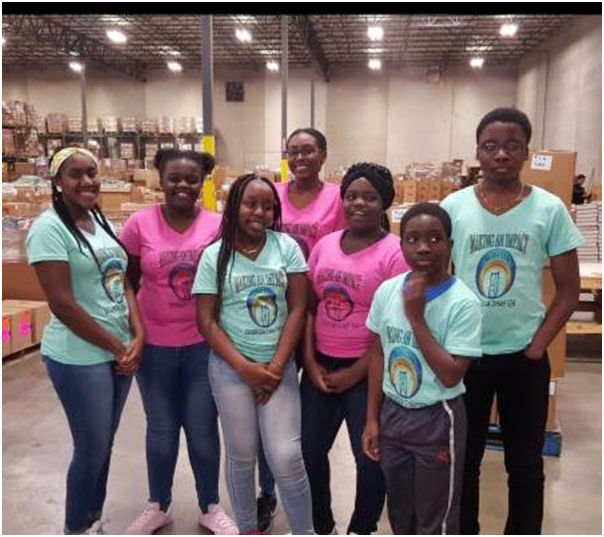 As the Sakerettes and CARATS sorted and packed, they received more in depth information about the need for books in Africa and the impact that is made when children are equipped with these books and school supplies. According to Fotemah, he has seen the population of a school pretty much double, after parents heard that the school receives a constant supply of books and school supplies. 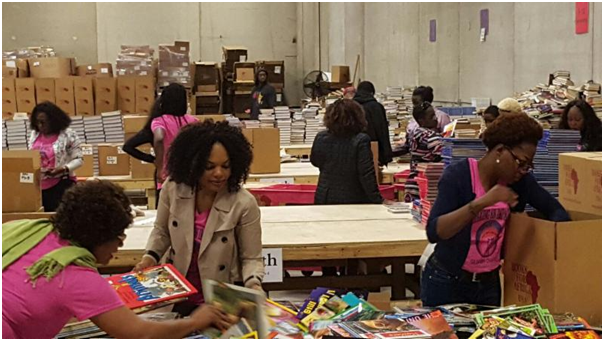 “For many children in Africa, the gift of books truly is a gift of hope. Access to an education is one of the only opportunities young people have to end the cycle of poverty and attain a better quality of life than previous generations” (BFA). Now we all know what to do with books we no longer need. Donate DonateDonate. ExSSA-GA always tries to volunteer alongside the CARATS, teaching them to carve out sometime for the service of those less fortunate and bond with one another in the process. The goal is to raise children who are aware of the needs of others and grow up to be servant leaders. This event was made even more special with birthday celebrations for a Carat and a Sakerette. They had breakfast and lunch together with a cake to crown the occasion. 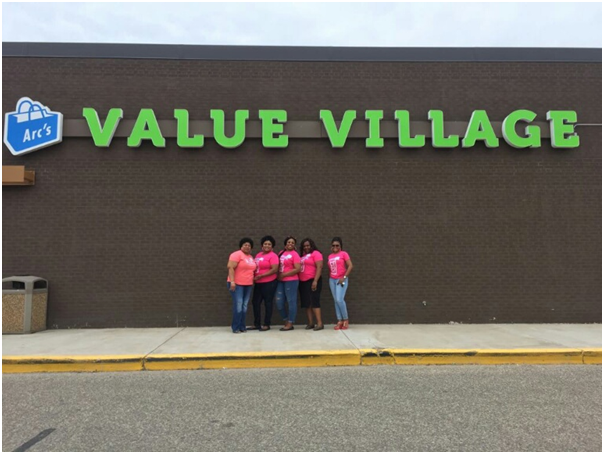 ExSSA Minnesota Contributes towards the Wellness of the Disabled Community by Assisting the Arc’s Clothing Thrift Store Valu Village. Approximately 20% of the population of Minnesota’s is made up of persons with disabilities and that number is projected to increase in the coming years. Individuals with disabilities are living longer, have more inclusive and productive lives than ever before. That can be attributed to the creation of the Minnesota State Council on Disability (MSCOD) in 1973 which shed light on the problems faced by the disabled community resulting in more awareness of the general population. This led to an increase in the number and types of services available to them. Notwithstanding this fact, the disabled community is still underserved in many ways. That is why the work of organizations such as the Arc’s Value Village are invaluable in filling the gaps to ensure that this vulnerable segment of the population is not left behind. 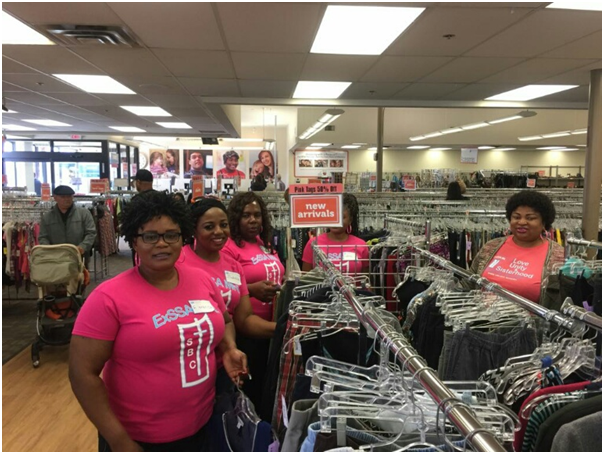 The Arc is a non-profit organization operating Twin Cities’ best Thrift Stores with a goal to provide a great shopping experience with bargain deals. At the end of each business day the stores donate a percentage of the proceeds from their sales to support the disable community. For more than 30 years thanks to shoppers, donors and volunteers, Arc’s Value Village has contributed to make life better for people with intellectual and developmental disabilities and their families in the Twin Cities. After volunteering at the Arc in 2014, Exssa-MN gladly accepted an invitation to volunteer at a different location this year. 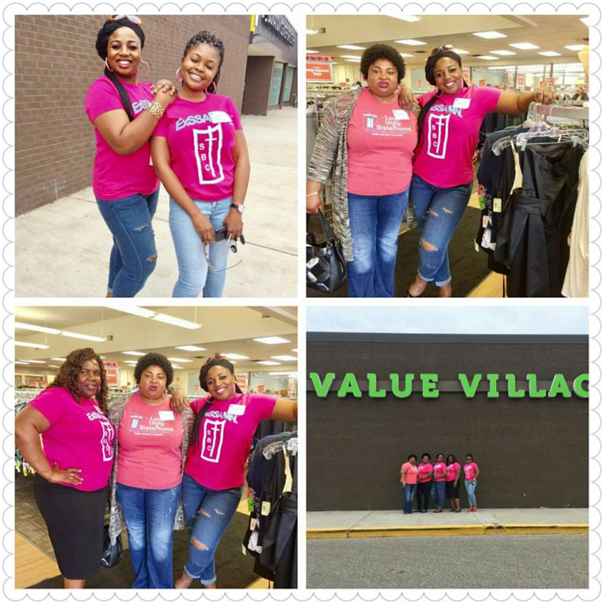 On Saturday April 8, 2017 five of their members arrived at the Arc Value Thrift Store at 9:40 am for a two-hour shift. 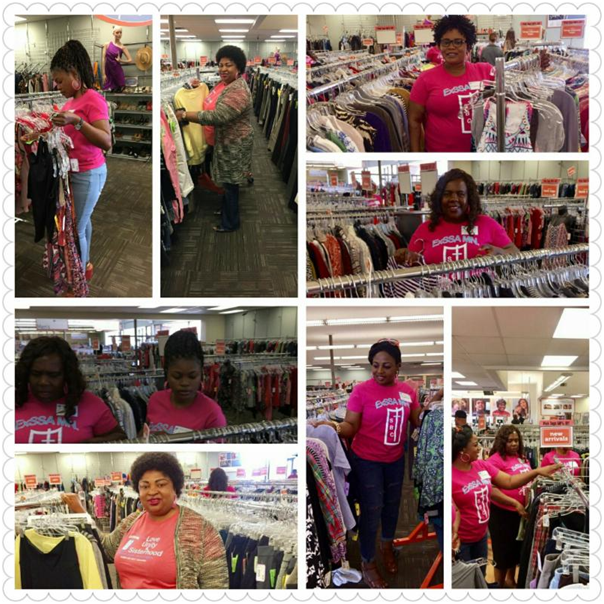 They assisted in sorting through donated clothing and placing them in the right department in the store. It was a rewarding and eye opening experience. In the end, it was a beautiful day of volunteering in the land of ten thousand lakes. 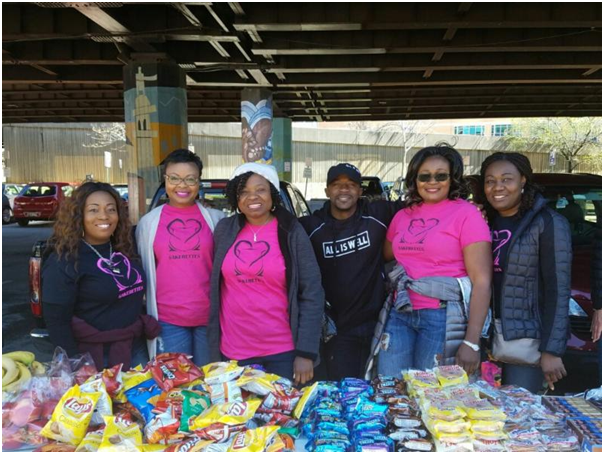 ExSSA D.C METRO Chapter Partners with Generosity Global Organization to support the homeless in Baltimore. 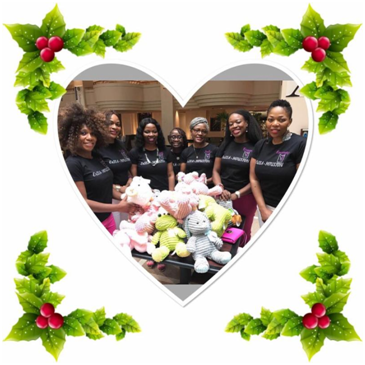 This year the D.C Metro Sakerettes aka ‘Divas’ opted to do something to support the homeless in their community in fulfilment of their Impact Day obligation. They did not have to look far. The Generosity Global organization which is an organization run by Rich Akwo,a young Cameroonian was a logical choice. 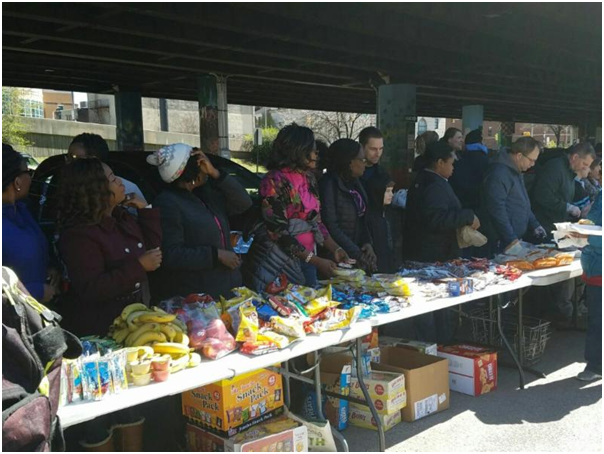 Generosity Global has been in existence for 6 years and has been feeding the homeless in Baltimore for over four years. 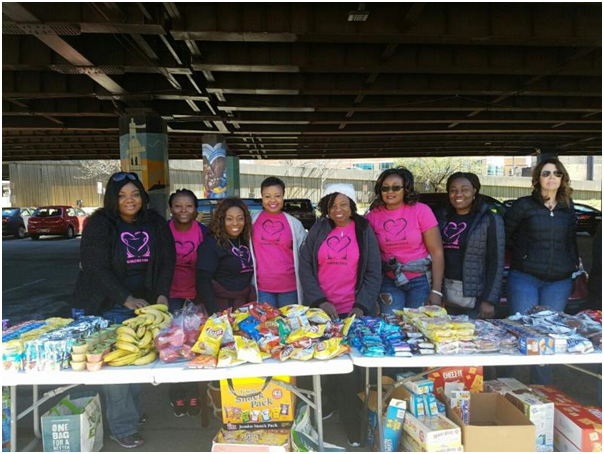 The D.C Divas’ show of support and generosity to the homeless community in Baltimore began with the purchase and packaging of hygienic supplies in gift bags. Some members cooked food or brought food items so as to be ready to feed them upon arrival. 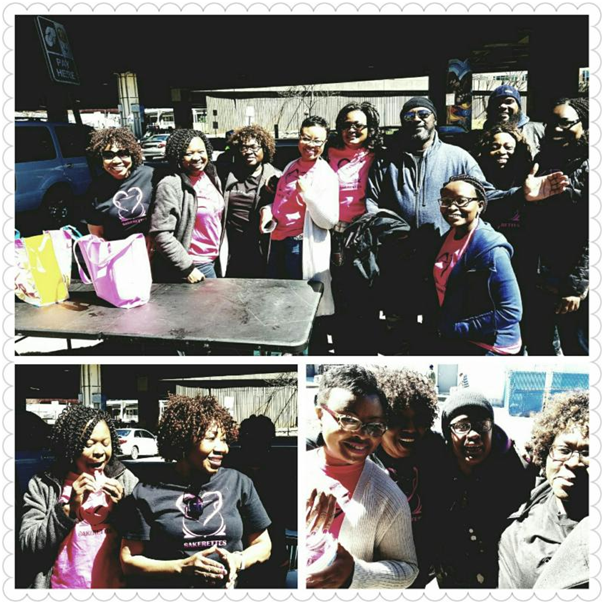 The Divas made the drive to Baltimore determined and ready to serve and once they arrived, they sprang into action handing out the items to the homeless sisters and brothers who stood in line to receive their meals and gift bags. The priceless facial expressions, the hugs and smiles from the recipients told the story and made the effort well worth it. 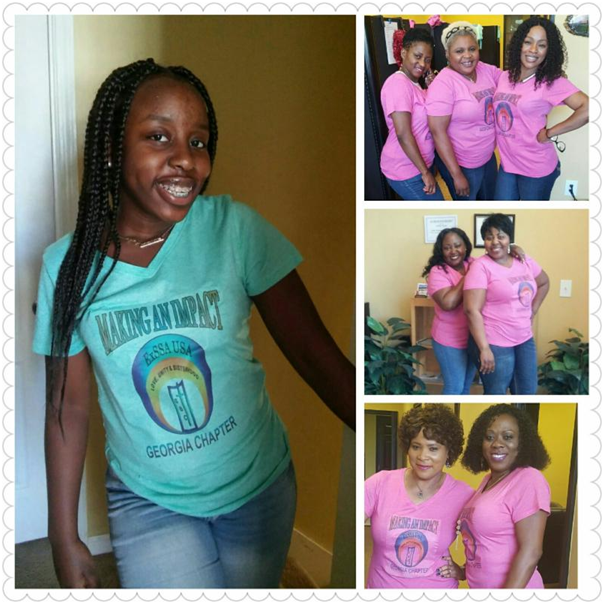 It made the Divas realize how blessed they are and reminded them not to take their blessings for granted. 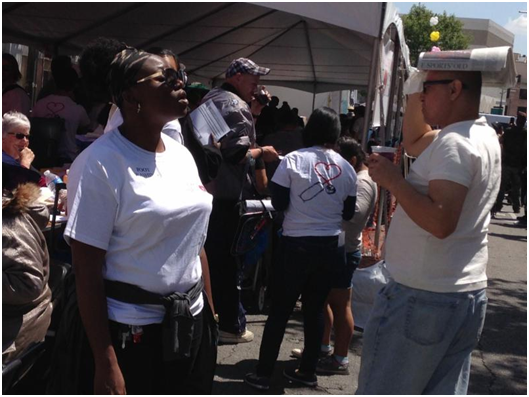 After distributing the items, the Divas socialized with them, using the universal language of dancing and singing. 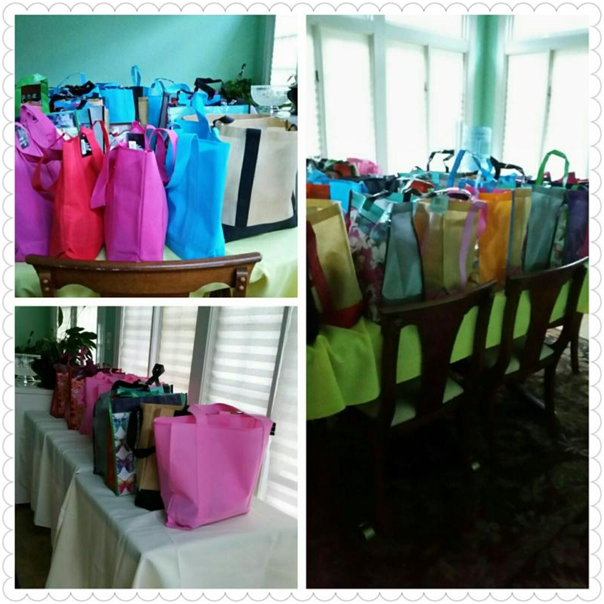 A wonderful time was had by both the givers and the receivers. What a blessing! 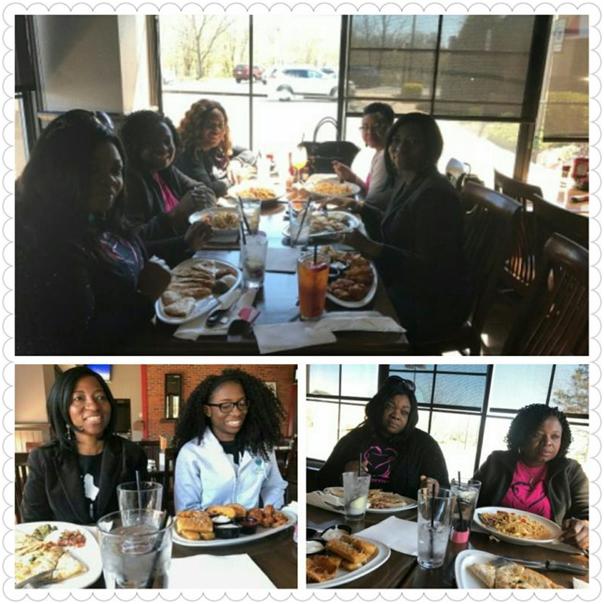 Upon accomplishing their mission, some of the Divas took an outing to ‘break bread together’ in sisterhood.